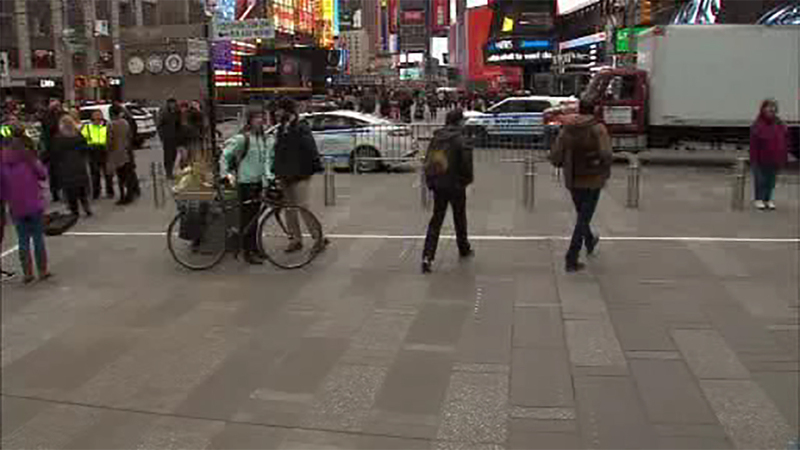 TIMES SQUARE, Manhattan (WABC) -- Two suspects are under arrest in a double stabbing in Times Square over what authorities say was a dispute over a drug deal. 23-year-old Pedro Nieves Diaz of Utica, N.Y. and 19-year-old Ashley Arcuri of Rome, NY are charged with stabbing two 25-year-old men on West 42nd Street Sunday morning in a marijuana sale gone bad. Police say the upstate couple asked the victims what kind of drugs they were into and one said marijuana. But Diaz believed the two men were speaking inappropriately to Arcuri, investigators say. He allegedlyl demanded his $40 for the drugs and then stabbed the two men - one in the chest and the other slashed in the shoulder. Nieves Diaz is charged with attempted murder, criminal sale of a controlled substance and weapon possession. Arcuri is charged with drug possession.